She reached out to her fans with the message, "It's Korea's traditional holiday Chuseok~ Have a fun and fulfilling Chuseok with your entire family^ㅡ^♥ Eun Sang [character in 'Heirs'] is working hard for her filming in the States and will return with a healthy image^!!!!!" 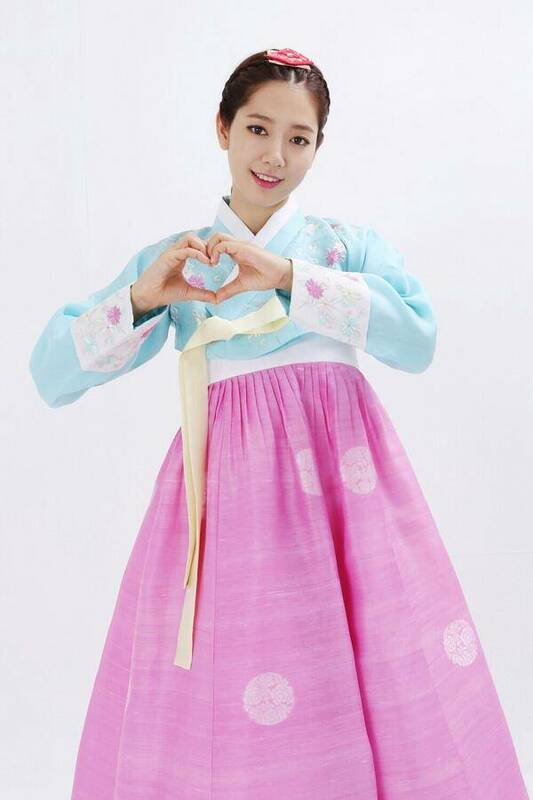 The actress also expressed her love by making a heart with her hands, posing in a beautiful pastel-colored hanbok. While most of her fans spend Chuseok with their families, Park Shin Hye will be spending her holiday filming 'The Inheritors' which will premiere on October 9! Make sure to cheer on the hard-working actress!